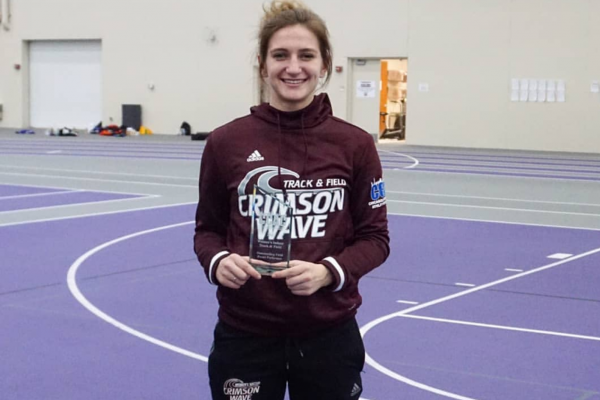 Senior Harley Sutton was named 2019 Indoor Field Athlete of the Year. (Photo: Jackie Torres). 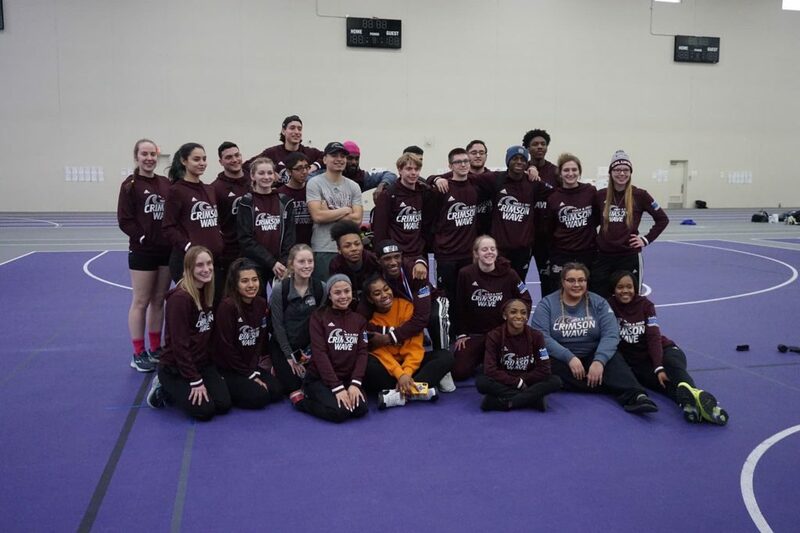 Calumet College of St. Joseph’s (CCSJ) track and field team competed in the CCAC indoor championship meet February 15-16, 2019. 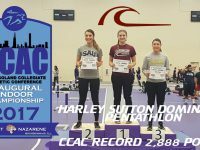 Senior Harley Sutton left her mark as a three time pentathlon champion and earned the title of 2019 Indoor Field Athlete of the Year. This feat isn’t something to be overlooked. The pentathlon consist of five different events: long jump, 60 meter hurdles, shot put, high jump and the 800 meter run. At track meets, Sutton competes in all five events the first day and returns the next day for the open events. Competing in more than one type of event means longer hours, harder practices and more effort. Sutton does all three. Sprint practices at 6:00 am immediately followed by throwing practice before working on jumping after classes finish. All the hard work gets done everyday with determination in her eyes and a smile on her face. Juggling multiple events require dedication and planning. Even small details like recovery have to be calculated. “I really have to focus on what I’m going to warm up for, what I’m going to rest my legs for and what I need to do next,” Sutton stated. If a scheduled race is called while Sutton is competing in a field event, she immediately changes her shoes. Once the race is over, she quickly changes back into one of the other other four pairs and continues to compete. Being named indoor field athlete shocked Sutton. 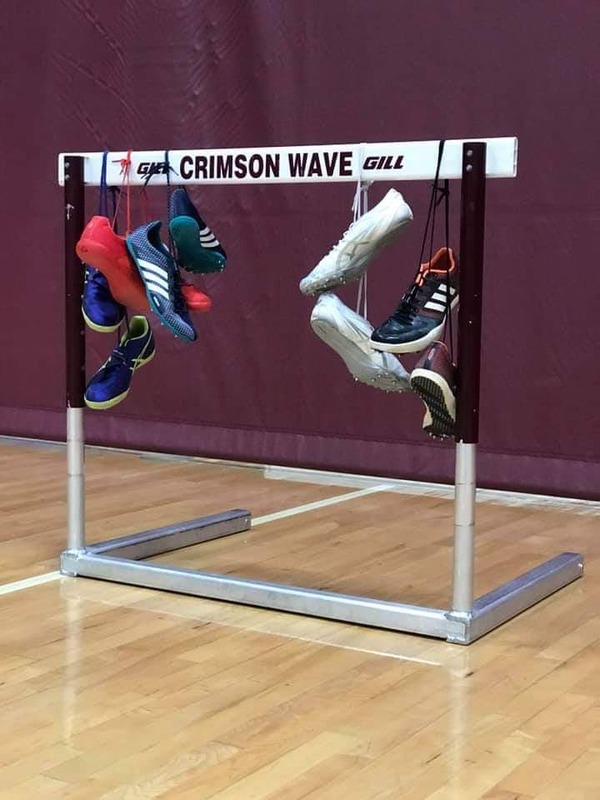 Because the pentathlon is a mix of running and field events, the senior assumed someone else would receive the honor. “When they announced [the award] they called the school first and I was trying to think who our field athletes really were and then I was like oh that’s me” she comments with laugh. None of the coaches were surprised that Sutton got chosen. Head coaches nominate one athlete per award and all coaches vote to decide. 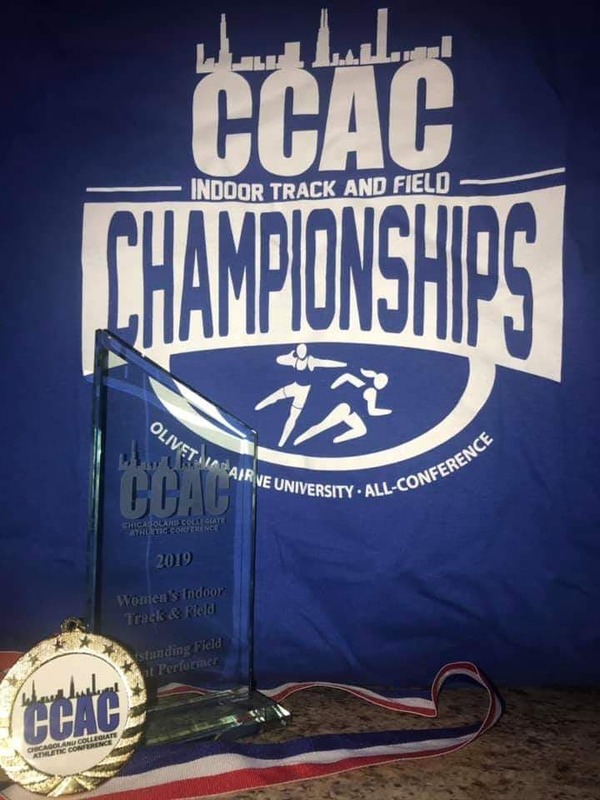 CCSJ head coach Stanley Bell gave his to the pentathlete and explained why she should win. 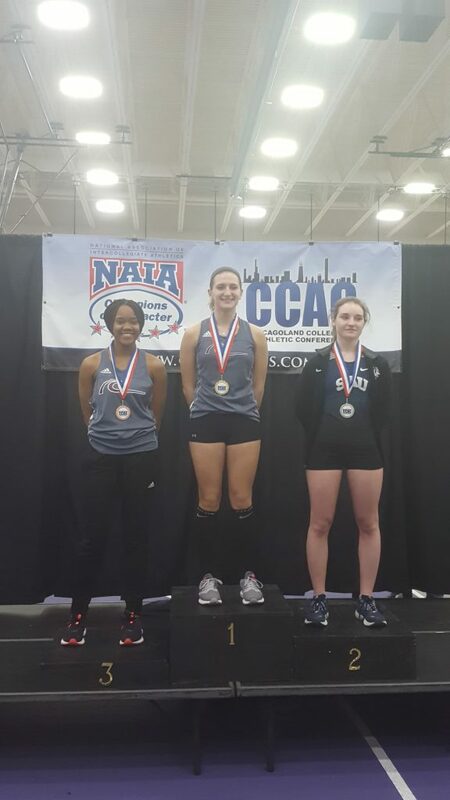 With the conclusion of indoor season, Sutton feels sadness knowing that her time competing in track is almost over, but she’s proud of how far she’s come. “It was a little bit heartbreaking but I do know what I’ve accomplished and how it makes my heart feel” Sutton said. She plans on holding onto those feeling and keeping all the memories close.